Our educational entertainment this week will be all about Self Directed IRA’s. And our guest speaker will be Kevin Miele. If done correctly, there are ways to take your self directed IRA and purchase investment real estate with it with a company that you control. Come on out this week and get the details on what you can do with a Self Directed IRA! Developer / REI of Virginia member John King has big plans for Cliff View, a parcel of land over by Lewis Gale Hospital. Good stuff John!!! This week we will have guest speaker Betsy Thomas with State Farm Insurance. Betsy will be with us to give us the details on Renters Insurance. It’s funny how I talk with landlords online in some towns where all of the landlords require renters insurance and others like Roanoke where it seems that very few landlords require it. I guess we just haven’t been sold on the benefits of requiring it. In my lease it requires that all tenants get renters insurance but I haven’t taken any steps to ensure that they have. I had a tenant one time that set one of my houses on fire. They denied starting the fire and said someone ran up to the house outside and started it. The fire started in the exterior wall and I suspect a boyfriend of the tenant started the fire who works as a volunteer fireman for the Hardy Fire Department. He was the one warming his hands on the fire when my upstairs tenants came down and saw it. The tenant girl living in the house had the nerve to demand that I have all of her furniture professionally cleaned. I asked her where her renters insurance is since it is required in the lease. She freaked out and said that it wasn’t required in the lease and I told her to go read it. So that was the end of that discussion. Who knows if she sued me what would have happened. I have also heard stories like this one from our members. There was a small leak in a member landlords plumbing. It was leaking into the basement. There was a very small puddle on the concrete floor. The tenant was subletting the house for storage by allowing a friend to store her furniture in the basement where the leak was. No water dripped on the furniture. The tenant called a mold specialist in Roanoke and that mold specialist said that there is mold all over in the basement air and her furniture due to that little leak. The landlord had the leak fixed within a few days of being notified. The tenant sued the landlord and believe it or not, ended up winning based on that mold specialists scare tactics that were used to get a few thousand dollar mold remediation job done on the basement. 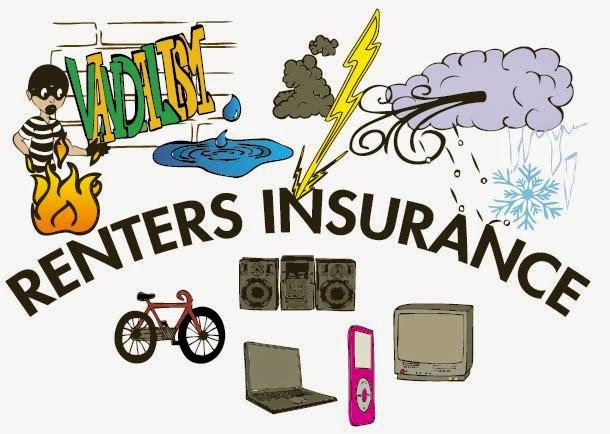 So, if the tenant had renters insurance, would the landlord still end up liable? I don’t know but what I do know is we should be able to get answers to questions such as this from Betsy at this weeks meeting. So come on out and have some fun with like minded people in an educational environment. Roanoke City has a tax sale of real estate every 8 months to a year. I’ve attended every single one for the past 10 years or so and have purchased a few properties from these sales. I’ve learned allot of lessons over the years and the city has taught me that they can not be trusted and are willing to stoop to low levels that are shocking and most likely illegal. It is important to expose this corruption within so those who are leading this city have an opportunity to resolve the issues and terminate the city employees who are taking part in this. Below are a few issues that I have personally witnessed or have been a part of. I’m sure there are many more. Roanoke City advertises in their tax sales that they are giving you a property that has a clean title and is free of all claims. I purchased a property back in 2007 that had a serious title problem. Years before the property was sold with the wrong lot information, it was mixed up with the lot next door. Which means the person next door actually is the owner of the property. No title company would insure it therefore no bank loan could be obtained as a result of the title problem and ability for the next door owner to lay claim to the property. I contacted the attorney working for the city at that time and he told me that’s your problem and sent me packing after paying 35K for the property. So lots of money and work for my attorney and we were fortunately able to get a clean title. Roughly 5 to 7 years ago I was driving around last minute, a couple days before the sale, and saw one of the houses that was advertised for sale being demolished. When I got to the sale there was a photo of the house not demolished. I overheard the same attorney as before with my title problem talking to the guy in front of me. He was telling him that it was demolished but they seriously considered not telling the buyers as they don’t legally have to do so. I was shocked. It’s Unbelievable that anyone would even think about doing that. I’m sure that most people already did their research by driving around and viewing the properties long before I did and when they were looking at it it was there. Every once and a while the city rezones properties across the city. I think the last time they did it was in 2006. The law is that if a residential property is vacant for at least 2 years than it loses it’s CO and has to revert to a single family house. Almost every house at every tax sale has been sitting vacant for at least 2 years. It takes 2 years of non payment of taxes in order to be able to sell the property to get their tax money. When a multifamily house is sold at these tax sales and you look online on their GIS you will see that they will leave the property listed as a multifamily even if they are going to force the property to be reverted to a single family due to sitting vacant for too long. Most people do not know these laws. Fortunately I have been doing this stuff for long enough to know what the city will pull on people as they have attempted to do the same thing to me or fellow investors I know. If the property was rezoned as single family and sat there for 2 years the city will not let you keep it a single family. They will force you to get a permit and revert it to a single family house which could bankrupt someone who was not expecting those additional costs and just getting started out in investing. I have seen it time and time again. There are MANY examples of the city hiding this information at the sale. As a matter of fact, Not a single time have I ever heard the city disclosing this information. Unsuspecting buyers pay big bucks for these properties thinking that they are able to continue operating it as a quad or triplex or duplex and then later find out that they have to dump many more piles of cash into it to bring it to the cities new requirements. Often they don’t have the money to do so and the deceptive practices that the city takes part in end up ruining the rest of their life due to that bad investment. Take the property at 608 8th St SE that was sold at a tax sale many years ago. And the house is still sitting just as it was. The only difference is now the neighborhood gets to continue to look at that eyesore because the government hoodwinked the buyer who significantly overpaid for the house because he thought he was buying a Quadraplex. I bid on that house but couldn’t justify more than 5K due to the knowledge of the games that the city plays with peoples lives. This poor guy got in a bidding war with other novice investors and ended up sinking 20K into the property before any work was done. Or look at the last tax sale and the property at 1509 Chapman Avenue. Which appears to be a duplex to the novice however it was rezoned a single family house and will be required to be converted by the novice investor. Wow, wait until they find that out. I’m willing to bet that I would hear some city employees defending their non disclosure of this information while stating that they legally don’t have to. I would find it hard to believe that they legally would not be required to disclose something of such significance. However if they aren’t required to do so they still have moral and ethical behavior that we should be able to count on. If you are reading this and you agree with what they are doing and are saying in your mind that an inexperienced investor should not be warned about this as they should have done their due diligence, than you have something very seriously wrong with you. Yes, I am calling you out specifically. You need to get help. You are an evil heartless person and need to go back in your hole. That’s right… I said it!!! The world would be better without people like you. Now don’t get the impression that there was some big slip-up and the city “forgot” to tell the auctioneer. This happens at EVERY tax sale. And at EVERY tax sale the city pays it’s code enforcement department to be at the sale over in the corner taking notes on who the next owner will be as their attack will follow the new unsuspecting owners purchase. Another property went up for sale at the past tax sale that had a huge fire in it a few years back. The city condemned the property after the fire and boarded it up. This property was 819 Campbell. The only reason I know that it burned is I own a property behind it. You can’t easily tell from the outside that this property was destroyed. I bid on this property because I specialize in extensive rehabs. However I was only willing to bid at most $3,000 as it would take a substantial amount of money to rehabilitate it. Most people couldn’t do it. Even though there were a number of the code enforcement staff and management in the building, they all decided to deceptively hide the fact that they condemned this building due to a bad electrical fire in the basement. I have been told by an unnamed city employee that they have, in their possession, a file on this property that includes all of the pictures of the damage etc but were unwilling to disclose it. It’s the law that things like this are disclosed by Realtors and knowledge of something like this and not disclosing it is FRAUD. I have been told through the grapevine that in most cases they will not allow someone to back out of money owed to the treasury department but will make exceptions when friends of the city are involved. In this case the unsuspecting bidder of this property backed out which leaves the city offering the property to the backup bidder which was me. You may be saying… Dallas, if you have the knowledge of this, why don’t you stand up at the tax sale and warn people. Well, my answer is that I did. Both me and Dan tried to tell the auctioneer, city employees and other buyers at the sale that the city was advertising an incorrect higher Tax Assessed value of every property but we were quickly shut down as the auctioneer referenced his communication with the city attorney regarding people speaking up at the sale. He then restated that they are correct tax assessed values. The reality is that they were last years higher tax assessed values and no representation of todays assessed value. So what do we do about it? Actually I don’t know the answer to that. That’s why I’m writing about it. It can serve as education to novice and moderate investors. I will be sending it to the management of the city as well but they have shown me in the past that they are unconcerned about important matters such as this. See the letter below sent to me. It’s an example of what I continually hear from real estate investors in Roanoke City. Rather than helping guide the guy through the state process of rehabilitating a building they use the Virginia Statewide Uniform Building Code against him to make him feel helpless. It also appears that they are misinforming him of his rights. This is the way Roanoke City currently operates and those who are in power should immediately put an end to it. People should not be treated in this manor. The city should roll the red carpet out for investment money and make the process easy to deal with. And inspectors should be required to take customer service education classes that teach them how to treat people with respect to make it a positive experience when working with the city rather than a nightmare. This gentleman DOES NOT need an architectural engineer as they suggested to rehab the building himself. He is not making any major structural changes that would require that. He has NOT moved around any walls or done any major structural work other than ADDING one little wall. He is also NOT required to be held to 2014 code but rather the code of the date it was originally built. I have read the Virginia Uniform Statewide Building Code and it’s references to a Certificate of Occupancy. And It appears that you do not need a new CO if the property is being used for the same purpose as it always has been. If the prior CO has been revoked than they shall issue you another CO once the property has been brought back to code of the date it was originally built. This unnecessary harassment should stop. Driving investors out of the city to invest in the surrounding areas is not advisable and does nothing more than hurt and further depress our blighted neighborhoods. My name is NAME REMOVED; I recently found REI of VA online, which is where I found your e-mail address. I hope my writing you isn't too inappropriate or bothersome. I need help, perhaps an attorney with an understanding of building codes as they apply to me, and I am hoping you can point me in the right direction. I purchased my first would be income property 5 years ago in Roanoke City and have been renovating it in hopes of renting four apartments and two retail spaces in the building. I am admittedly a complete novice at all of this, but I was trying to take a building that was empty, and an eyesore, and make it a decent, functional, and more appealing addition to it's surroundings. It is a slow process for me because I am just an average individual, funding it out of my pocket a little at a time. The apartments and retail spaces had been rented in the past, before I came along, and the building was built in 1935. I truly thought that "the powers that be" in the city would be happy with my efforts. I have had a bit of an awakening since then. I am having a problem getting a C.O., which they tell me I need, and they are telling me that they will not even talk to me about signing off on electrical work that I have had done, or anything else until I hire an architectural engineer to go top to bottom - front to back and give them among other things fire ratings for every floor, ceiling, wall, and stair. Even if I can scrape together the funds to hire the engineer, I am extremely concerned that they are holding this building to 2014 new construction codes. I of course want it to be safe, but with things like the difference in thickness of drywall boards thru the years, I feel like I will be chasing my tail into bankruptcy. I have read several things on REI that seem to suggest I'm not alone in this. I really didn't think the City would be out to get me but that sure is the way it feels at the moment. Perhaps I can make it to Shaker's at some point, the group of people sounds amazing. Estate Planning & Real Estate Exit Strategies This Week At REI!!! We have a very interesting meeting lined up for this week at REI of Virginia. The guest speaker will be attorney Joel Miller. 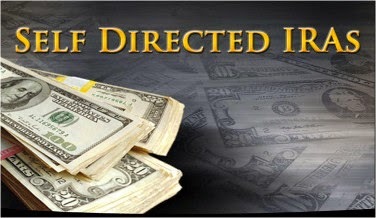 He is a specialist in IRS Tax Matters and Estate Planning. It seems that every single attorney I talk to has a different answer on what to do regarding estate planning. We now have an attorney with the right specialties to make a qualified decision. 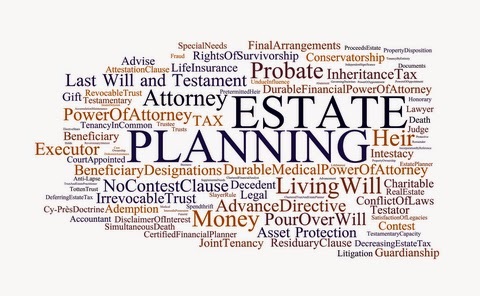 It’s very important for an attorney to not only have the knowledge of what can be done regarding Estate Planning but what the Tax Ramifications are as a result of doing so. And in all good Estate Planning you should consider a good exit strategy. What do you do when it’s time to cash out? What’s the best way to pass property over to your children? What’s the best way to convert property to use to cover the expenses of potential care you need in the future? Is it wise to “spend down” all of your money so you are eligible for government care? What do you do if you own a few million dollars of property? There are many questions to ask and Joel will be there to cover the bases. So come on down to the REI of Virginia meeting this week and spend some educational time with some good, like minded people. 2014 Virginia Passed Laws That Affect Landlords. I did many hours of research to see what passed this year that people aren’t talking about in our industry. So, since no one seems to be watching, I’ll do it. A: Small landlords now with 3 to 10 properties are subject to the Landlord Tenant Act look up HB 273 http://leg1.state.va.us/cgi-bin/legp504.exe?141+sum+HB273 Click on the Governors Acts of Assembly Chapter Text for the FINAL bill on all of these. H: Adding an alternate name: Virginia Residential Landlord Tenant Act to The Virginia Rental Housing Act. Also now if you have terminated the rental agreement, and didn’t take the tenant to court, you are still legally owed unpaid rent, late fees, damages, etc. You no longer need a judgement for the money to be owed. Which would lead me to believe that you can now send a collection agency after them without a judgement.